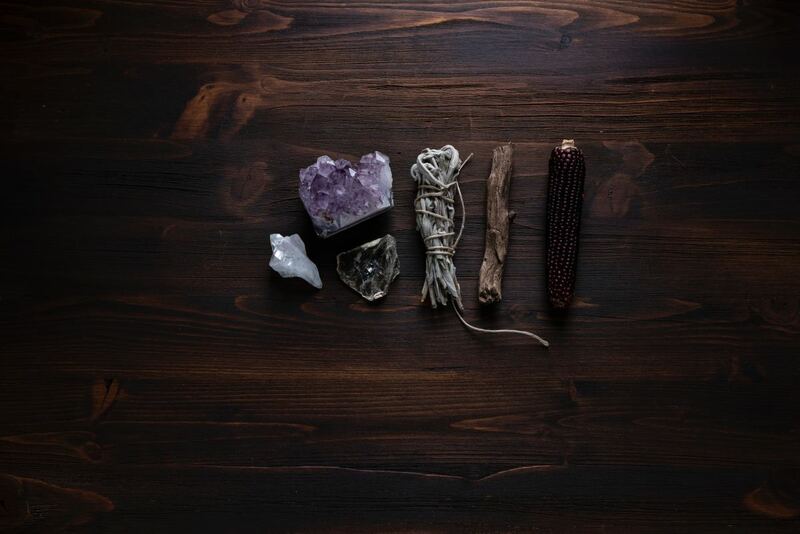 Smudging has been practiced for centuries by Native American tribes and is one of the most common but powerful aids and ways to cleanse the mind, body, spirit. Smudging can even rid a particular place of unwanted negative energies and entities such as demons. Most traditional cultures have variations of cleansing rituals, and many of these involve burning herbs. Smudging ceremonies and rituals can be performed in numerous ways. The spiritual significance and ceremonies vary greatly by culture. Part of their beauty is that there are no restrictions or set rules. However, guidelines should be established and followed for safety and to ensure success. Be sure to be in a positive and healthy place and state of mind to smudge. Trying to purge negativity while in a negative state of mind can be counter-intuitive and even disastrous in some cases. Only smudge in your own home or workspace. If it belongs to someone else or if you have a roommate, be sure to ask for his or her permission to smudge before you begin. Smudging without the tenant's permission can cause turmoil and strife that will negate your attempt to cleanse negative energies. Always practice safety while you smudge and be sure to have a shell, bowl, dish, or glass to catch the ash. This video will walk you through an example ceremony. To skip straight to the ritual, go to 7:22 in the video. While the herbs below are often used in witchcraft and Wiccan smudging rituals, they are not the herbs as those used in Native American ceremonies. References to "tradition" in this article generally refer to New Age and Wiccan traditions. 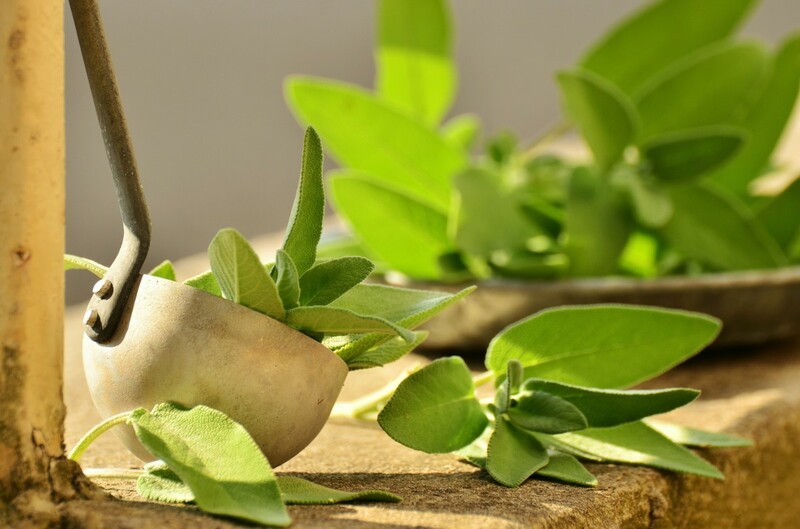 Sage is an ingredient commonly used in smudging rituals. Sage is the most popular choice because it is one of the most potent and effective cleansing tools. The herb comes in many different forms and varieties, but the two most common are white sage and desert sage. The difference between white and desert sage is minimal. White sage has a less harsh scent when burned compared to desert sage, and is less messy to deal with because of its tree-leaf-like composition—but which type you use comes down to preference. Witchcraft and Wiccan rituals have also traditionally used cedar leaves as a purification agent. Cedar coupled with sage is a potent combination. The herb sweetgrass can grow in the wilds of North America, but development has destroyed much of its habitat. Due to this, sweetgrass is now grown by many herbalists and herb vendors because of its popularity as an ingredient and tool for smudging ceremonies and rituals. Sweetgrass has a very sweet smell, which can make it more pleasant than sage to burn. Sweetgrass also comes in long braids, which you can cut into easy-to-handle lengths for burning. Smudge-sticks are an important part of Wiccan cleansing rituals. Smudge-sticks are the easiest way to smudge. A smudge-stick is a handily bundled bunch of sage, white sage, cedar, copal, or sweetgrass that can be easily held. A bowl or glass to help catch the ash from the burning ingredients. Shells or small pots such as cauldrons are traditionally used for this purpose. A feather or hand-held fan can help spread the smoke around the area you are smudging. You can also use your hands for the same purpose. Make sure that the space you are smudging has windows or some other means for the smoke to escape. Do not use smudge-sticks near infants, birds, the very elderly, or individuals with sensitive respiratory systems. Birds are so sensitive that smoke can make them sick or even kill them. Never leave burning smudge unattended. Place some sand, soil, or even salt in the bottom of the container you are using to help extinguish all ash. Clean the area to be smudged. It always helps to dust, vacuum, and put away clothes, toys, and other items. Wear or hold an item of protection such an amulet, talisman, or gemstone. A quartz stone is an excellent option as these stones absorb negative energy. If you often feel drained, tired, suppressed, or depressed, then chances are that you may have a lot of negative energies around you. 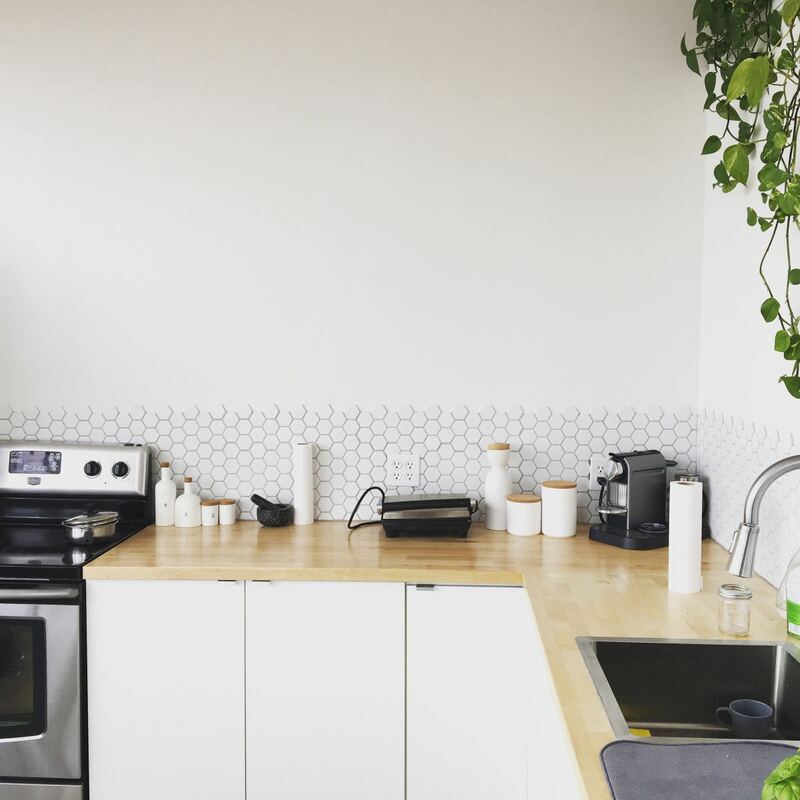 Similarly, if you do not look forward to going into a particular area that you regularly visit or live in (such as your home or workplace), it's likely that the place needs cleansing. If you believe you have negative energies around you, your home, or your workplace, then you can actually attempt to make things better through smudging, an ancient practice of removing and cleansing the body and a particular place of unwanted energies. In order to smudge your home of unwelcome negative energies, you must first purchase a small bundle of sage, cedar, sweetgrass, or all three, as they are all excellent purifiers of negative energies. Once you have purchased your purification tools, you will want to find a dish or glass that can be used to hold the sage. Although this is not necessary, some people do not like to hold the items in their hands while they burn. Placing the herbs in a bowl or glass will let them burn safely. Wiccan supply, New Age, and metaphysical stores also carry specific holders for smudging, such as abalone shells. Before you start, make sure to open every closet, every drawer, and every cabinet in the entire house. 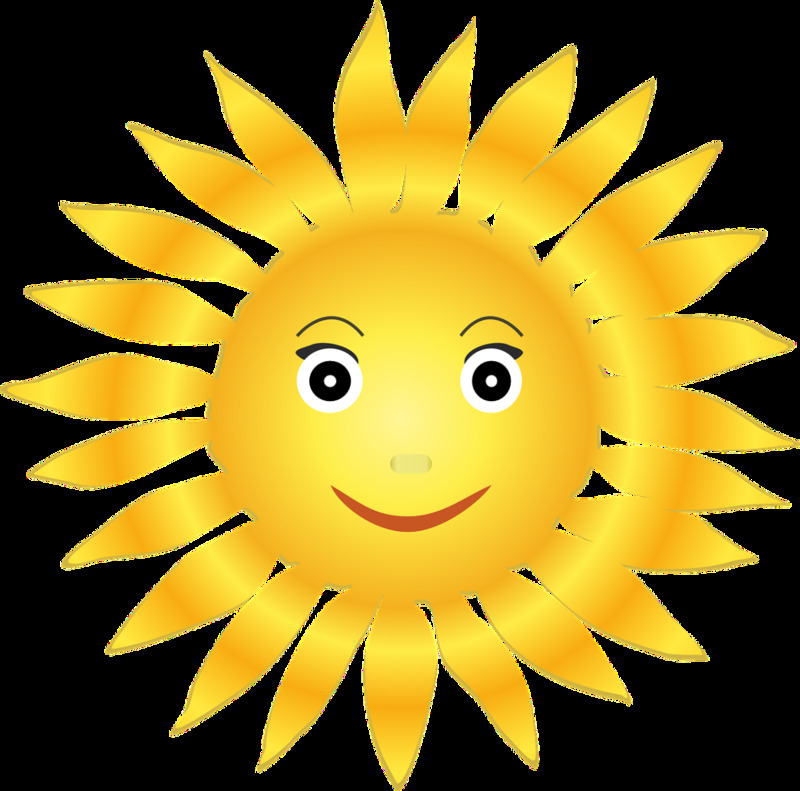 Also be sure to pull back curtains and open blinds so that windowsills are accessible. Make sure you can easily move around the whole house without bumping into anything or having to stop to open drawers or doors. It is very important to perform a smudging ritual during the light of day, as the light will help burn away the negative energies with the smoke that will arise from the burning purifying items. 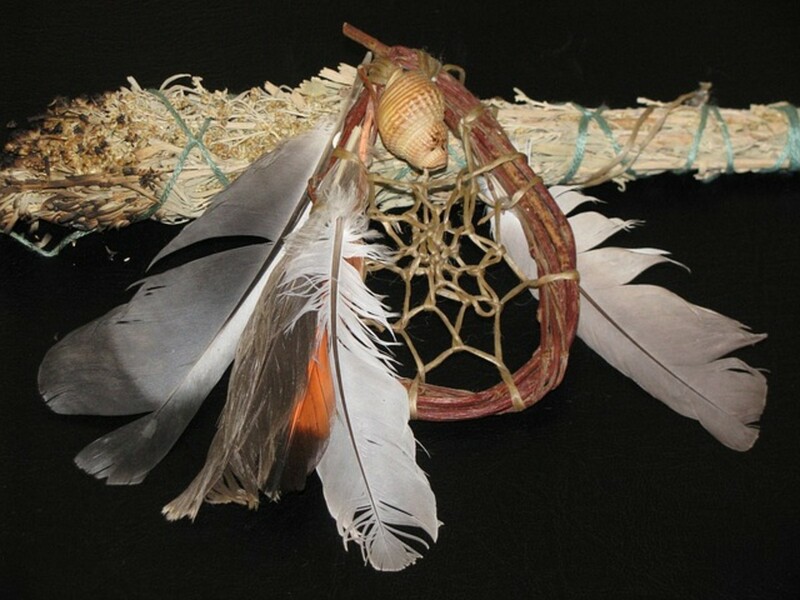 Burning sage, cedar, and sweetgrass is designed to eradicate negative energy and either remove or weaken negative entities such as demons and nasty spirits. You may also want to say a prayer or perform a ritual of protection before you get started. The words of your prayer or incantation will vary depending on the type of cleansing you are attempting. Although this is not necessary, it always better to be safe than sorry. Additionally, if you have a protection amulet, talisman, or gemstone on hand, you can wear or hold on to that as well. To begin the smudging ceremony, light the sage, sweetgrass, or cedar. (Remember to keep a dish under the burning herbs to catch any ash.) If you are having problems keeping it lit, occasionally blow on it to keep the embers burning—you want to continue to coax the flame until you get a steady smoke. You can see tips on how to light your smudge below. Cleanse this house and make it clear—only good may enter here! Infinite Power of the Divine—protect and bless this house through time! Blessings grace this cozy place—all joy and peace may it embrace. By the Power of the Divine, this home is blessed—blessed Be! Negativity that invades my sacred place, I banish you away with the light of my grace. You have no hold or power here, for I stand and face you with no fear. Be gone forever, for this I will say: this is my sacred place and you will obey. Smoke, air, fire, and earth, cleanse and bless this home and hearth. Drive away harm and fear—only positive energy may enter here. May your hands be cleansed, that they create beautiful things. May your feet be cleansed, that they might take you where you most need to be. 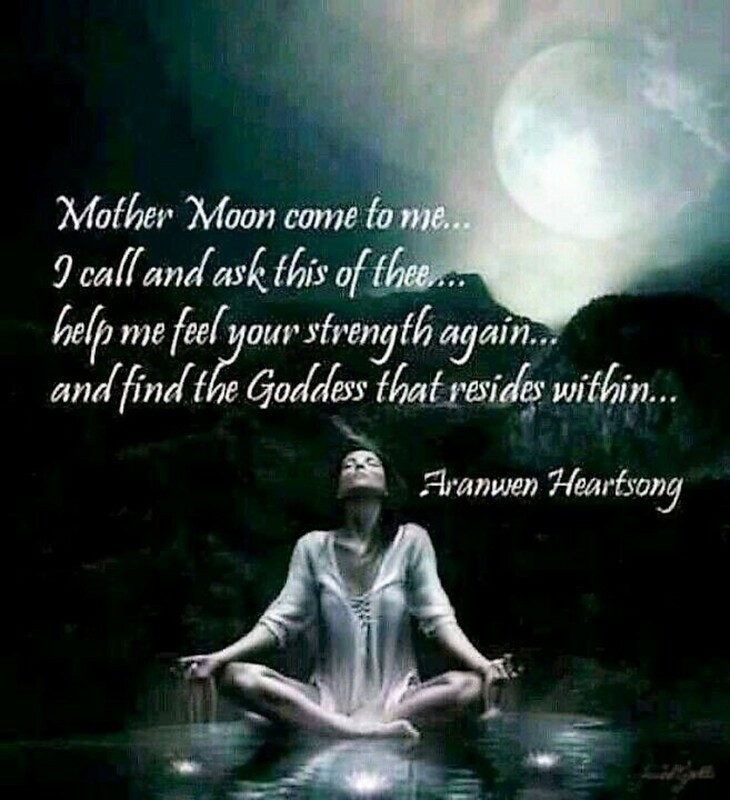 May your heart be cleansed, that you might hear its messages clearly. May your throat be cleansed, that you might speak rightly when words are needed. May your eyes be cleansed, that you might see the signs and wonders of the world. May this person and space be washed clean by the smoke of these fragrant plants. And may that same smoke carry our prayers, spiraling, to the heavens. Air, fire, water, earth. Cleanse, dismiss, dispel. Into this smoke, I release all energies that no longer serve me, all negativity that surrounds me, and all fears that limit me. So it is. Focus on your intent: Focus intently on what it is you want to accomplish for your smudging ritual or ceremony. Visualize it cleansing you, your home, your workplace, etc. of all the negative energies or entities that are unwanted. See the negative energy disperse and not return. Also, be sure to speak your prayer or verse with conviction, strength, and force of will in your tone. Your voice will be your strength and will help in breaking up and removing negative forces. Smudging yourself: Fan the swirls of smoke around your body from head to toe with your hands or a feather. You may want to focus especially on chakra areas where you feel there are blockages or where there is or has been physical, emotional, or psychic pain. Visualize the smoke lifting away all the negative thoughts, emotions, and energies that have attached themselves to you. If you are feeling depressed, for instance, you could visualize the smoke carrying away all your feelings of depression. During healing work: During healing work, the smoke may be fanned over the person either by your hand or with feathers. This will help clear out unhealthy energies and bring in the cleansing power of the herbs. You may also direct smudge to each of the person's chakras if you practice chakra energy. As you do so, visualize each chakra coming into balance as it is purified by the smudge. If you can see auras, look for discolored places in the aura and direct the healing smoke towards those places on the patient's body. Smudging a room or space: For cleansing a house, offer the smoke to the four directions outside the house first. Typically, people start with the east, then move south, then go west, and end north. Then, start at the lowest level inside your house and walk the perimeter with your lit smudge, giving special attention to the corners and the places behind doors. Work your way up to the highest level in the house. You can also fan the smoke throughout the room with a large feather. Cleansing objects: If you want to cleanse any object using lit smudging ingredients, simply hold them over the smoke for about a minute or two—that is all that is needed. Extinguishing the smudge: You can douse your lit smudging ingredients by placing them under a running faucet. Smudge-sticks can easily be put out in an ashtray like a cigarette. It does not matter where you start smudging. 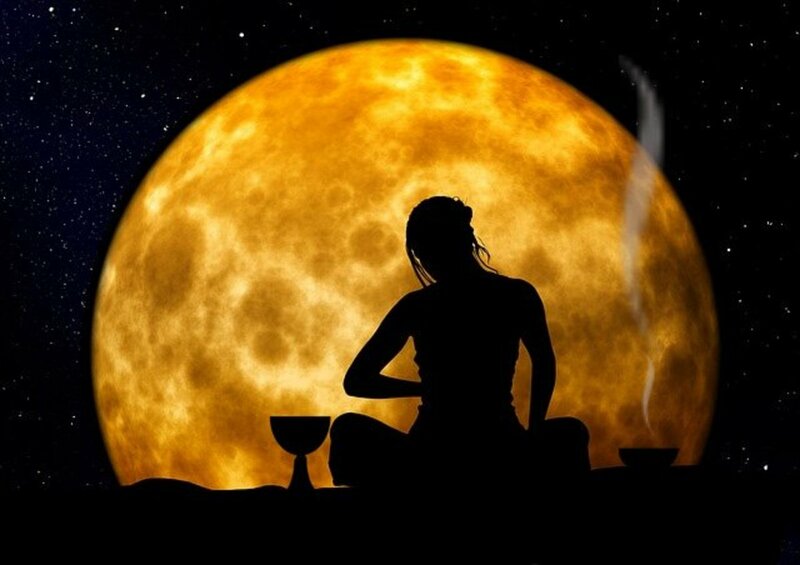 If you are performing the ritual in your home, you can start at the front door and work your way around from there, or you can start from the backyard and work your way inside. The important part is that you smudge every inch of the house. This includes closets, basements, every room, the basement, and the attic (if accessible). Start at the door frame of each room and then work your way inside the room and be sure to smudge every corner, window, and, of course, closet. Be sure to send smoke up to each corner of the ceiling and along the corners of the walls. After all four corners are smudged with smoke, go to the center of the room and make a clockwise circle of smudge. Complete all rooms. You may also want to blow smoke near the drawers and in the closets. As you go through your home, workplace, or other residence, be sure to repeat a prayer, verse, or saying that you feel will empower you. The more empowered you feel, the more commanding your presence—this will help in removing unwanted entities and energies. Speak to yourself, to God, to the universe, or to the energy of life. You might ask for protection in certain rooms and for forgiveness and peace in other rooms. You might ask for those you love to be able to see themselves as they really are when you smudge mirrors; ask that you may see yourself as you are, too. 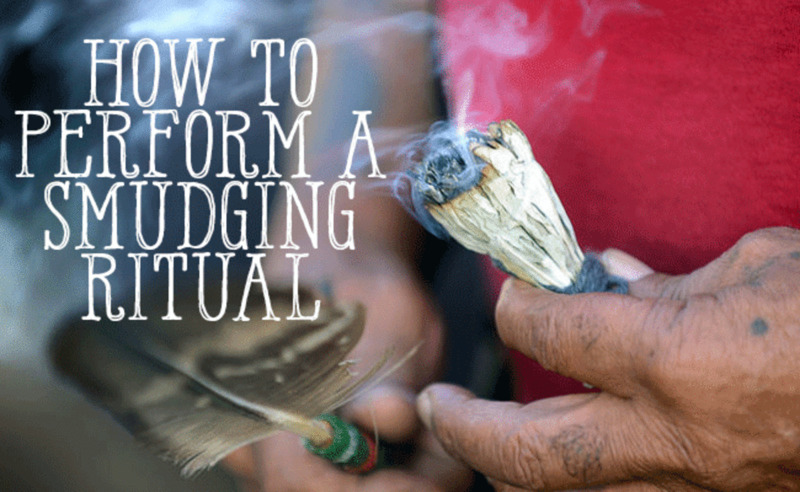 What Should I Do After Smudging? After you complete all rooms, open as many windows and exterior doors as is practical to let the smoke be purged for at least 20 to 45 minutes as this will help to "blow away" all the negative energies that you just worked to break apart and disperse. When you are finished, it is also important to sit down and enjoy your positive energy space and newly cleansed environment. Relax, take some deep breaths, close your eyes, and just be for a bit. You may feel a different energy—more peaceful and less anxious, happier, and less heavy or sad. You can smudge as often as you like. It really depends on how fast negative energy can form in the space. Once a week is typically recommended. Some people choose to perform it once a month or once every couple months. If you have a recurring negative situation or feel negative energies returning to your home, you may want to repeat the smudging process often. You may smudge every week, every month, or every year. Only you know when it is time to repeat the ceremony. Thank you for sharing, just made my first lot of smudges using Salvia africana-lutea. Really enjoyed making them, when dry I will do a blessing, give all away as gifts of love and smudge my house as feel it's much needed. Bless you for caring and sharing. I have a Question. Someone left smudging materials in a drawer in my apartment that I rented. A friend told me that this is a Wiccan practice intended as a warning to the following inhabitant/renters of this same space. Would you happen to know that this could be true? Or common? I didn't know you could buy smudging supplies. I always thought people just made them. Interesting hub. I have a friend that could use this to get rid of her ghost. Voted up.